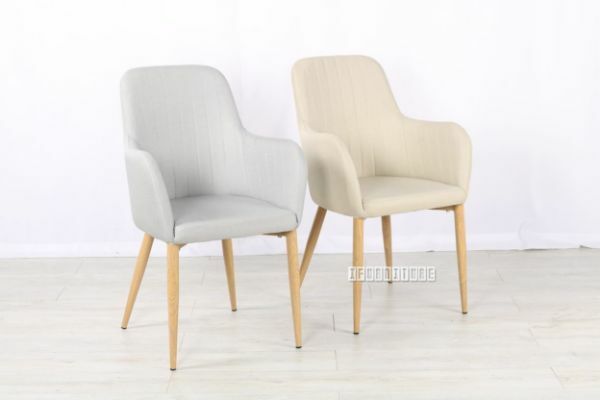 The HARLOW padded, fabric covered, dining chair is available in two colours Grey or Beige; each has a smart vertical stripe on the inside of the chair. Having padded arms on the chairs is an advantage for some; and while the legs are slim, light brown, and appear to be wooden, they are in fact steel! Super modern new bar stools bring comfort and relaxation to your bar or bench area. The MORNINGTON bedroom series is a light and fresh cream colour. 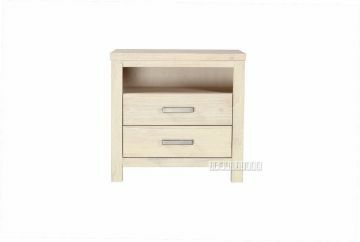 Made of Mindi wood, and with 'clean lines', this series will readily mix and match with other items in your rooms. The SOVEREIGN mattress comes in 3 versions: Firm, Medium, and Plush. 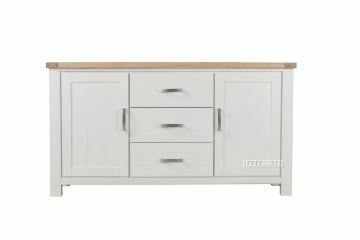 The large SICILY series is painted crisp and white with light brown ash timber tops. It brings a light and bright feel to any room.